There are many excellent books available for people interested in preparing for a variety of unexpected events. One thing to consider. If you purchase electronic versions of these books, consider that, in an actual emergency, the power grid is most likely one of the first to go down. How would you power your electronic device to reference these books long term? Hard copy may be a good choice considering the realities. Note that all cover photos are "Hot", click on a cover and it will take you to the Amazon page for that particular book. The following list of books is a representative sample of the books available on this topic. I have only included the top rated publications that have been recently published. The Survivalist Magazine is quite good. It is published monthly and covers a wide range of topics of contemporary interest. From pharmaceutical medicine to vitamins, antiseptics and additional herbal medicines, there are a number of important medical supplies that you can and should stock up on in case of an emergency. Over-the-counter medications are a good place to start, including antiseptic, antibacterial and antifungal medicines. If you know where you purchase them, you can also stock up on basic antibiotics legally and without a prescription. First and foremost, I always like to mention that if you or anyone in your family has a life-threatening dependence on a certain prescription medicine, you really should be sure to stock as much of that medication as possible. 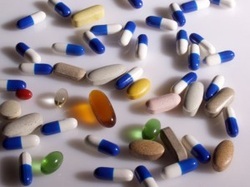 Most medications, when stored properly, will keep for anywhere from several months to several years. Find out what the shelf-life is of your medications, and try to keep at least a 3 month supply of crucial medications in stock. Pain medication is another big one on the list of medicines that you should stock up on. Include a variety of different pain medications, such as aspirin, acetaminophen, ibuprofen and even opiate-based pain medication if you have legal access to it or a prescription. Not only is pain medication important for you and your family, but it has immense inherent value and can therefore be traded or bartered with as needed. Keep in mind that ibuprofen and acetaminophen can also be used to reduce fevers, though both can be harmful in large doses or over an extended period of use. On the more natural end of the spectrum, a potent extract of curcumin, one of the active components in turmeric, has been used traditionally to relieve arthritic pains. Some studies have shown curcumin to demonstrate similar levels of efficacy as someprescription NSAIDs. For topical pain relief and as a mild anesthetic, you can store oil extracts of clove, wintergreen, and many hot peppers, including cayenne, for their pain-relieving qualities. Clove oil is purported to be especially effective when it comes to toothaches, while hot peppers can be used to make oils or lotions for application to topical aches or tight muscles.Burn gel containing a percentage of lidocaine can also come in handy, even if you don’t necessarily have a burn to treat. Lidocaine is an anesthetic, usually included in concentrations of 2% – 4% in gels that are available OTC. Other medicine that can be purchased OTC includeImodium, for treating and preventing severe diarrhea, as well as Benadryl or another antihistamine suitable for helping to contain an allergic reaction.Be aware, antihistamines and OTC pain medication such as acetaminophen can cross-react with one another; many ‘nighttime’ OTC pain medications include a small dose of antihistamine along with 250mg or 500mg of the regular pain medication. Cold medicine such as DayQuil or NyQuil can also be helpful, especially if you have young children who do not handle swallowing pills well. Liquid cold medicines generally have a decent shelf-life, and can be helpful for reducing fever, relieving nausea, relieving pain or stomach upset, and as an aid for getting to sleep.An OTC supplement called melatonin can also be useful in regulating sleep and encouraging a natural sleep cycle. In a post-SHTF scenario, you can bet good money that a lot of people will die of secondary infections and basically for a lack of antibiotics.Fortunately, antibiotics can also be stockpiled, legally, without a prescription and generally rather affordably. Simply check at your local farm supply store or vet, and ask for antibiotics such as FishMox or FishPen, they are amoxicillin and penicillin, respectively. Antibiotics should be used sparingly, but there are times when a course of antibiotics can mean the difference between life and death. Many, many plants have natural antibacterial, antibiotic and antiviral properties as well. Aloe vera has a long history of use as a soothing balm for burns, to rejuvenate damaged skin, and also as an antiseptic gel for topical use. Some hospitals have taken to using allicin and alliin, two compounds found in fresh, crushed garlic, to fight antibiotic-resistant diseases like MRSA. Another great natural antibacterial and antiviral is tea tree oil, the oil of the melaleuca tree, which has also been used in some hospitals and clinics to fight antibiotic resistant diseases. In addition to pharmaceutical and natural or herbal medicines, there are a number of vital nutrients that you can stock up on to promote, support and maintain the best health possible. Start with basic, fundamental nutrients like essential fatty acids (EFAs), a high quality multivitamin, and a 2000IU or 5000IU dosage of vitamin D3. Vitamin D3 is one particular medicine / supplement that is quite affordable and can serve to boost the immune system significantly. Remember to maintain a sanitary environment as much as possible, and stock up on rubbing alcohol, hydrogen peroxide and liquid iodine for use as topical antiseptics and cleaners. If you have pets like a dog or a cat, or if you have very young children, keep in mind that a small amount of hydrogen peroxide, when swallowed, will induce stomach upset and vomiting. Some people also keep ipecac syrup on hand for inducing vomiting. You can also store hydrocortisone cream to help treat skin ailments or eczema, it can provide quite a lot of relief. Use hydrocortisone cream on rashes, itching bug bites, or other minor, irritating skin problems and relish the relief it brings. I also recommend a good stock of antifungal cream to treat any ringworm or athlete’s foot that may crop up. Finally, if you have access to quality honey and can store it properly, honey has an incredibly long shelf-life and many potential health benefits. Ranging from anti-inflammatory properties to antibiotic and antifungal, honey is a natural powerhouse of veritable goodness and health-promoting compounds. You can use honey in a variety of herbal teas to stave off colds and flu, or apply it topically over a wound to take advantage of its antiseptic and antibacterial properties. A lot of people think they don't have enough money to store extra food for emergencies. It's a struggle just to make ends meet and afford what they need right now. I think anyone can start to prepare for the future. My husband and I have a 4-figure annual income that isn't even close to hitting five figures. If we can do it, you can too. We're not just telling you how to do it, we're living it! "A year and six days underground without sunlight or breeze or contact with the world above--whatever might be left of the world above. A year and six days without touch, without unrecorded voice, without contact, without friends or family. If only they had listened, if only they had been ready. But he--he had prepared. He was Reginald B. Wakefield, and he hadn't died. A wave of vindication washed over him, lifting and sweeping away all doubt and fear. He had been right. He raised his eyes again to the hatch cover above. . . . He had been right." Disaster, the one few things that affect all people regardless of race, color, creed, and income, can happen at any time without warning. This book is designed to help you prepare for a disaster and if you prepare for disasters, when the Apocalypse happens you will be miles ahead of everyone else. Learn from James Smith, The Covert Prepper, his tips, tricks, and techniques on how to keep you, your family, and your property safe. Under no circumstance should you use any information provided for criminal activity. If the end of our civilization is upon us, then wait until it happens before you do anything possibly illegal. Given that at any point in time a natural disaster can and will occur when you least expect it, it is best to prepare now, not later. Imagine your frustration when you WERE going to prepare and you now need to get through weeks if not months of clean up and finding food. Now imagine how your family will feel when they are hungry, thirsty, wet, and cold. DISCLAIMER: This information is only supplied as references and a starting point only .. Suppliers or sites not to be considered as any type of recommendations from The Villages Tea Party... Members must do their own research..